Emilio Aguinaldo was our next in our Filipino Biography. We were discussing whether he is indeed a hero or not because he ordered the execution of Andres Bonifacio, the Katipunan's Supremo. Here, I am summarizing his contributions to our country and we will leave the question to you, whether he is indeed a hero or not. He was a cabeza de barangay (barrio captain) for eight years and a municipal captain or town mayor. 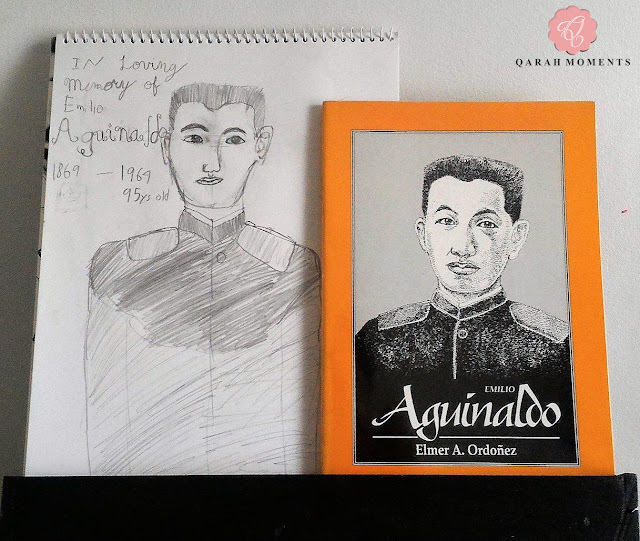 Later he used his political skill to organize the Filipino people to revolt against Spain. He joined the Masonry, a secret society that valued "liberty, equality, and fraternity". He also decided to join the Katipunan movement. He took great risks in getting as many people as possible to join the Masonry and the Katipunan. He and his Katipuneros captured the town hall in Kawit from Spanish Control and he became the Military commander of the rebels in Cavite. He defended many towns in Cavite and others in nearby Batangas and was able to drive back the Spanish forces. He was so successful at winning battles that he was able to proclaim the Philippines an independent nation on June 12, 1989. He was chosen as the President of the new revolutionary government. He took an oath of allegiance to the United States after he was captured by the Macabebe. So that's it! Please standby for our next Filipino Biography.